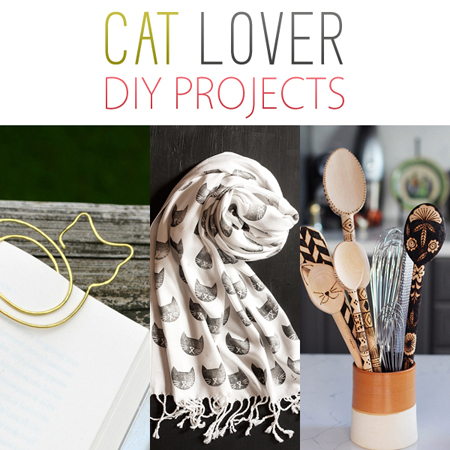 Today we have a fun collection of Cat Lover DIY Projects. These little feline creations are not for your kitty…but for the ones that love them : ) You know when you want to give someone a really special little gift that fits them purrfectly? Well if you have some cat loving family members and friends…you are so in the right place today! There are unique gifts that you can create such as adorable little kitty curled wire bookmarks that will happily keep your place till you pick up your book once more. 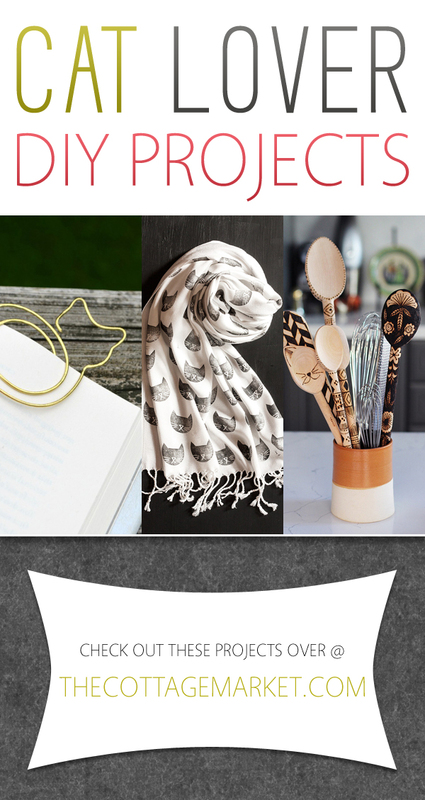 There is a DIY for a cat scarf that you can personalize with your very special touch while creating the stamp for the fabric pattern…there is even a precious wooden spoon that will look picture purrfect in the kitchen and so much more. So check out all of these fun projects and I guarantee you will touch your cat loving friends and families heart! MEOW!